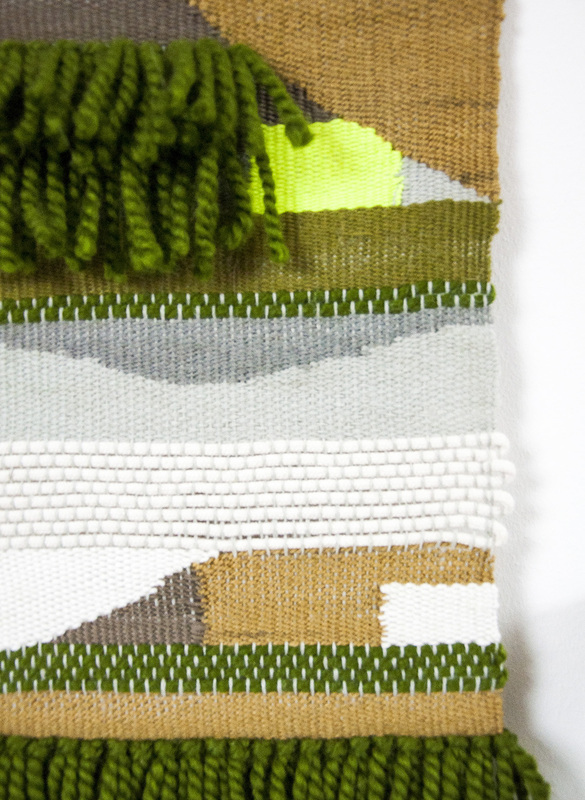 This handwoven wall hanging is made from a collection of abandoned yarns. this items contains 100% recycled and re-used materials made with a mix of wool, acrylic and cotton yarns. The green colour pallet goes great with a white wall and green plants. See the wall-hangings blog post for more inspiration.